We tracked down the real life mum from 'Lion'. On a Saturday afternoon back in 2012 I was sitting in a nail salon crying. I don’t usually cry while I’m getting a manicure, they’re just nails after all. But I was reading a Vanity Fair story about a little boy called Saroo who lived in Hobart with his adopted parents and who had recently tracked down his birth mother in an obscure little village in India. If you’ve seen the movie Lion, or read the book, A Long Way From Home, you already know this story. If you haven’t, let me fill you in. Saroo Brierley grew up as one of three children living in a tiny shed with their mother who collected rocks in a nearby quarry to try and support her young family. He was about six when he and his older brother went to a nearby train station to look for dropped coins to bring home to their mum. The boys became separated and Saroo ended up on a train, alone, thousands of miles away, unable to find his way back home. He had further to travel. All the way to Hobart in fact where he was sent from the Indian orphanage he’d eventually wound up in. He was only about five and his parents, Sue and John Brierley welcomed them into their home and their hearts with open arms. “He had that little Qantas bag on his shoulder, he had that blob of melted chocolate in his hand. He had his Tassie T-Shirt on. And he had the biggest eyes you could ever imagine…and in her came – and I knew I just couldn’t rush up to him and hug him because I didn’t want to frighten him” Sue told me. 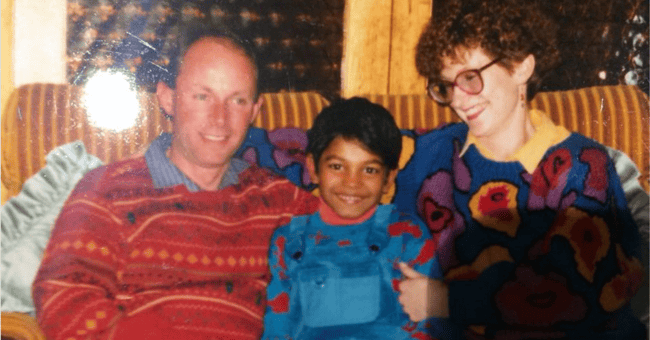 A couple of years later they adopted a second son from India, Mantosh, but while Saroo thrived, his big brother’s path through life wouldn’t be nearly as smooth due to the abuse and neglect he experienced before he arrived in Australia. When Saroo grew up, miraculously, arduously, he spent years using Google Earth and his patchy memories of his early life in India to identify the small rural village where he had lived. He travelled there and found his mother. I still can barely think about that reunion without crying again. “He sent a text in the middle of the night...we just really didn’t know what to expect...but as soon as the phone went ping I started reading it and I couldn’t believe my eyes. And he just basically said - I’ve found my family - they’re here," Sue said. Back in the nail salon, I texted my friend Tom Malone who was then the EP of Sixty Minutes to tell him about the story. 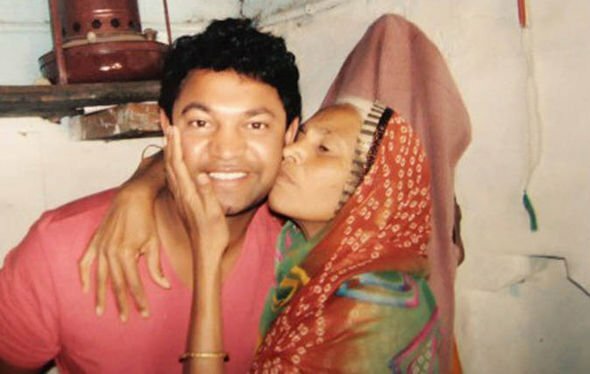 60 Minutes paid for Saroo to go back to visit his biological mother, this time taking his mother Sue with him. That reunion was…..well, you can imagine. Next, by pure coincidence, my cousin Emile Sherman, the Oscar-winning producer of films such as The Kings Speech and Macbeth, beat out giant film companies from all over the world to win the rights to turn Saroo’s story into a movie. Lion was released last year and went on to be nominated for several Oscars. Sue Brierley never imagined her life would play out publicly, let alone in movie theatres all over the world. 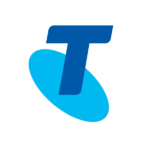 She was an ordinary woman from Hobart. But at the end of 2016, that’s exactly what happened. 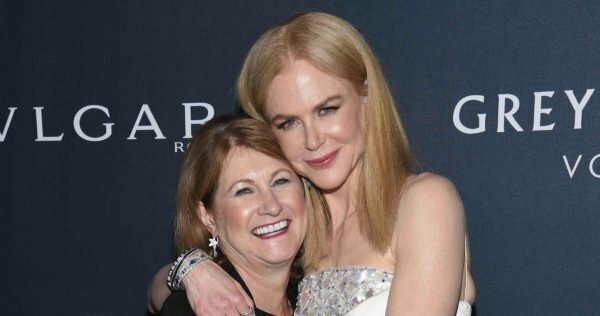 Sue was sitting in a movie theatre in the middle of Hollywood - actual Hollywood - watching Nicole Kidman (who by then she found herself calling a close friend) play her in the incredibly moving film about her family. Behind her in that theatre, at that premiere, was Bill Clinton, sobbing quietly in the dark just like I did, along with my parents and kids when we went to see Lion. It’s really hard not to. The movie, the story, is just….that good. Saroo has done a lot of interviews but as a mother, as a woman, I wanted to interview Sue. I had so many questions for her. Lion and Far from Home tell Saroo’s story from his point of view but I wanted to know more about hers. I wanted to know about her other son Mantosh, about how she felt when she found out Saroo had been secretly trying to find his birth mother and what those reunions felt like, for her. So I called up Sue for a chat at her home in Hobart - the one you see in the movie. There’s a little bit of noise in the background of parts of this interview - there were some planes flying overhead a few times. But I was so riveted by her words….and her story…..I barely noticed.